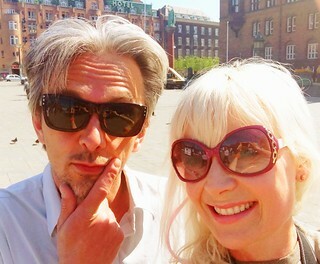 Well, hello there, Copenhagen sunshine chicas! Line and Sara are pimping & painting the furniture of cafe Kalaset located in Vendersgade, just by Nørreport Station. The must-have of Kalaset is their American inspired pancakes. Cycle Chic photos covering 6 full pages in Italian trend magazine Cocun. Love the red shoes. Enjoy your weekend, see you next Friday right here on Cycle Chic!